Megan has embraced her role as the Librarian, protector of the Library of Athena. She’s spent her entire summer teaching herself magic (al though it doesn’t always work out the way she wants) and studying the Library’s secrets. The Order of Ares, an organization bent on stealing all of the Library’s artifacts, are always at the back of her mind, though they’ve been quiet for awhile. Then she is forced into yet another enchanted story. Or rather, the story comes to her, somehow ripped from the pages of the book and brought to life. She and her friends must fight their way through an imaginary Ireland, where danger lies around every turn, and find the mythical Sword of Danu. It’s a race against time—because the magic is spreading. The manor is being overrun, and Megan, Rachel, Claire and Harriet must fight through what was supposed to be an imaginary world to find the sword and return things to normal. There had been warnings—the never-ending rain, the slowly rising water—yet when the river finally tears the old wooden house from its foundation and carries it on a perilous journey toward the sea, Albie is unprepared and alone. But he’s not alone for long. Albie, even at his age, is no stranger to violence. On the frontier in the 1860s, survival comes first, and he had seen—and taken part in—brutal killings of wild animals and even of men believed to threaten his family’s existence. 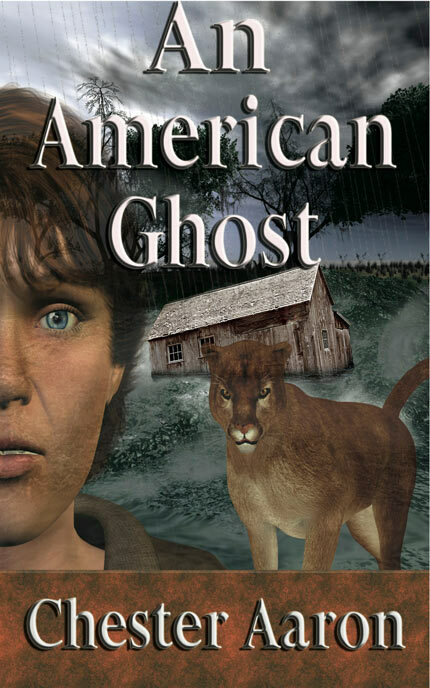 Now, trapped by fate with the most dangerous of enemies—a mountain lion, an American ghost—Albie is forced to depend on trust, on understanding, on mutual support. Fear, hunger, and the slowly developing relationship between boy and cougar lead Albie to a new way of seeing himself and the world around him.